Below is the update from Dr. Steven Greer on the present-day accomplishments, as well as the need of this program from people like you. We just crossed over $450,000 and have received over 2000 donations from friends like you ... which now means we are only $50,000 short of our minimum goal! We say "minimum", because we are hoping to go over that goal amount in order to bring even MORE into the public and expand this campaign - but, we'll talk about that at a later date and fill you in. Our minimum goal covers the initial film and book release, so we know we are almost there ... and we couldn't have done it without YOU! We began filming not long ago and have already started scheduling witness interviews for June and July. However, we are always looking for more witnesses to come forward. So, if you know of anyone that can help us get the word out ... especially within the Military and Government circles, please do so. The time could not be more critical. 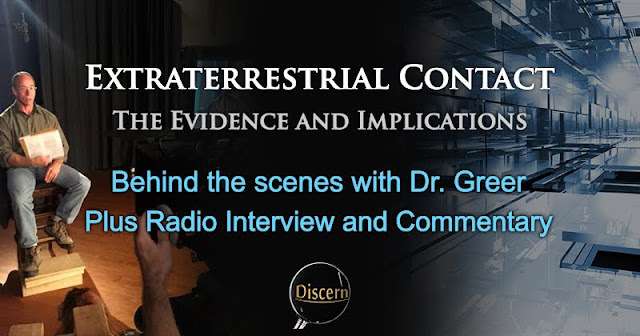 You can share this video from Dr. Greer below or you might even decide to share his urgent update radio interview that he recently did on Dr. Carol Rosin's show. He discusses the importance of what's going on in the world of DIS-information and why we need to pay very close attention. 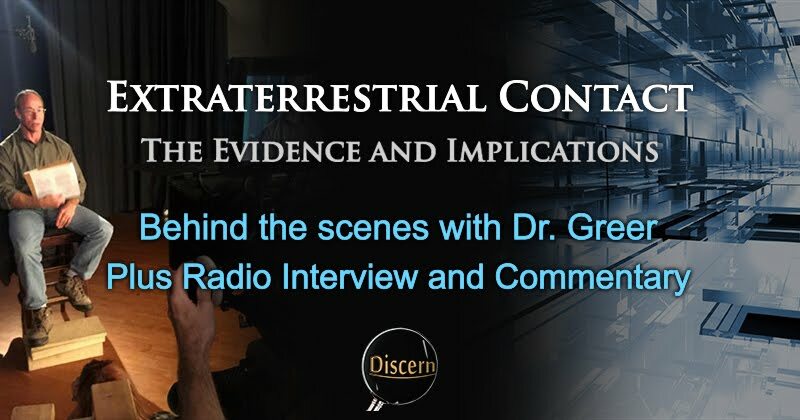 I would agree with Dr. Greer in that there don't seem to be any E.T. groups that have visibly attacked the planet. It definitely seems that with all of the technology that they possess, if they had the intention to destroy the human race, they would have most certainly done so by this point. However, this may also have been due to the fact that we have countermeasures in place, as well as numerous benevolent ETs protecting our planet. Though I cannot speak for the ancient past, I can observe that currently, from the numerous testimonies of whistle-blowers, most of the E.T. 's which we see have never opened fire except in cases of self defense. With this in mind, however, I do think it's important to understand the difference between violent hostility and the propensity of a few for manipulation and exploitation. It may be that given the opportunity, some negative beings would like to take a few shots at us. Though, fortunately for us, according to many reports from insiders, the positive beings far outnumber the negative (to restate). Ironically, this manipulative Draco group is reportedly the one controlling the entire Military-Industrial Complex, according to various sources. So, in essence, the perspective of Dr. Greer is spot-on, in that the illegal dealings of the Military Industrial Complex must be brought to an end, and its operations must be turned toward the benefit of mankind instead of its opposition. Consider for a moment the lack of violence we have seen from UFO's. Though there have reportedly been defensive maneuvers, as well as at least one accidental destruction of an Earth aircraft, we have never encountered any group attempting to invade our system or our planet with weapons blazing. In light of this we have heard that there are beings out there (such as the Draco Reptilians) whom we would likely see as negative. Think of the likelihood that there are E.T. groups out there who have abused other beings. According to the Law of Free Will, it would stand to reason that none of these abusive groups are able to abuse unless such treatment were first authorized by the victim's actions. In other words, if a being does not invite abuse, manipulation, exploitation, or violence of any kind, none of this treatment will take place (at least not without immediate, universal repercussions). Even though a being or group might have a proclivity toward these negative actions, they do not take these actions unless invited to do so. According to the text within the Law of One (as well as in my personal, life experience), this is a universal rule. Whether beings are of a service-to-self, or a service-to-others focus, above a certain level of development, each polarity seems to respect free will quite thoroughly. In this sense, it would seem that these beings have more maturity and spiritual development than we do here on the surface. Though there may be a handful of exceptions (as everyone has the freedom to make a positive or negative choice), no group seems to have the intent for any war of violent invasion (other than the violent Military Industrial Complex here on the surface, as well as within the Dark Fleet, according to Dr. Michael Salla and Corey Goode). According to insiders from the Secret Space Program, the first group of humans to recently explore and colonize the solar system were the Nazi breakaway groups around the time of WWII. These would have been people who did not necessarily value human life outside of their own advantage. Consequently, their lives would have already authorized violence, manipulation, and exploitation toward themselves. So if they encountered a group with the right violent propensity, this group would have been authorized to treat these Nazi's with the same hostility. This would effectively create the rumors of "violent E.T. 's" when in reality, the E.T. 's were only doing what they were invited via Free Will to do. The information of these first encounters with "violent E.T. 's" would have been the initial intelligence which may have caused various military groups to become nervous. Overall, I think that Dr. Greer makes an excellent point in his statement that we do not have to worry about some interstellar war. As he has said repeatedly, if these beings wanted a firefight, there would have been no contest. Dr. Greer strikes me as someone who has an inner discipline of self, and a generally positive perspective on life. This would naturally lead to an overall positive experience in the physical world. There would be no negative or manipulative E.T.s interested in approaching him at all because his thoughts and actions wound not have authorized such an approach. Others may have lead negative, and violent lives. This would have lead to more negative experiences with E.T.'s. However, again, these negative experiences do not likely involve one race coming in to our system for instantaneous violence or invasion. These, or any action would be dependent upon the invitation of the individual to have whatever experience they chose. In general, it seems that these E.T. 's have far more respect for free will than we may have here on the surface (whether for the benefit of others, or simply to avoid consequences). If we were to apply such discipline in our own lives, and this were applied on a global scale, the world would change over night. As reported, there are nearly countless benevolent groups waiting in the back ground to assist the planet in its progress and evolution. However, there is an issue which has hindered their approach. This is that the groups who tend to manipulate and exploit want to maintain control, and on top of this, the collective choice of the human race has thus far, authorized a certain amount of negativity. This has lead most of the exploiters and manipulators of the galaxy to our solar system and to our planet. As like attracts like, these groups came to where they were invited, and even though the negative is a stark minority within the galaxy, our choices in conflict have energetically requested such interactions. It is a given that each of those within the alternative community may have a differing belief here and there. However, the egotistical need to force our beliefs on others is the exact same negativity we imagine within a hypothetical group of off-world tyrants. What is truly important is our ability to exist in freedom, peace, and equality. As stated previously, it is our choice as to how our future progresses, and in order to ensure that that future is positive and prosperous, we must throw off the shackles of the cabal who intends to enslave. To do this, we must work together in unity, and focus upon the freedom that each of us deserves. I think it's outstanding to see so many people such as Dr. Greer, Corey Goode, David Wilcock, Cobra, Dr. Salla and numerous celebrities and public figures work together for the sake of Full Disclosure, as this can inspire the rest of us to do the same. Their mutual efforts have been an example of the fact that our minor differences are no limitation unless we allow them to be. I believe it will only be when we resolve and release the inner conflict within us, that we will see the outer conflict resolved in our lives and in our world. It is likely our own inner incoherence and self-directed hostility which authorizes the outer conflict and hostility in our everyday lives. When we resolve this inner turmoil, our life experience will quickly change for the better. It is important, I believe, for each of us to remember that planetary liberation must be initiated from within (that is within ourselves, as well as our collective human consciousness), and that when we have peace, freedom, and unity within, this will automatically become our outer experience. Lets keep moving, keep growing, and encouraging each other to do our part.